Beyond what the eyes alone can see, and what the body may taste or touch, is the felt awareness of a deeper, wider, more infinite reality. 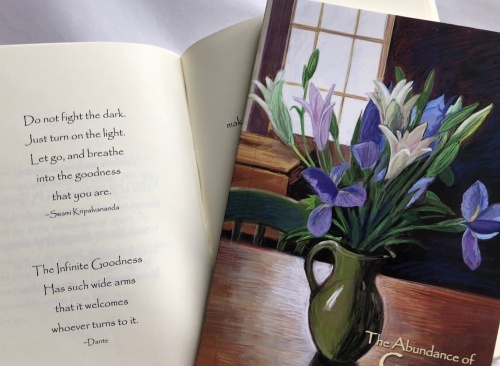 The passages in this book are offered to celebrate and to nourish an intimate awareness of the abundant presence of Grace. 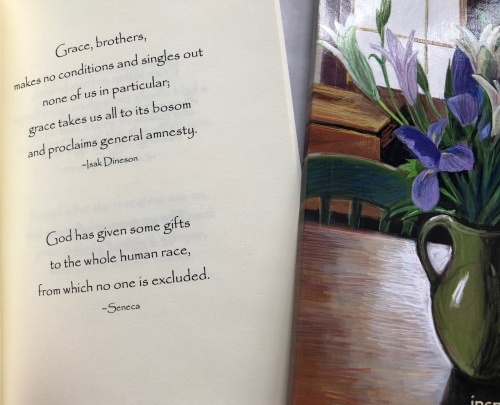 This edition is a widening of the original handmade version of The Abundance of Grace. Paperback, 4.25 by 6 inches, with an envelope for gifting. Use the drop down menu to select Grace from the new collection of Quotation Celebrations, or choose all four for a discount.